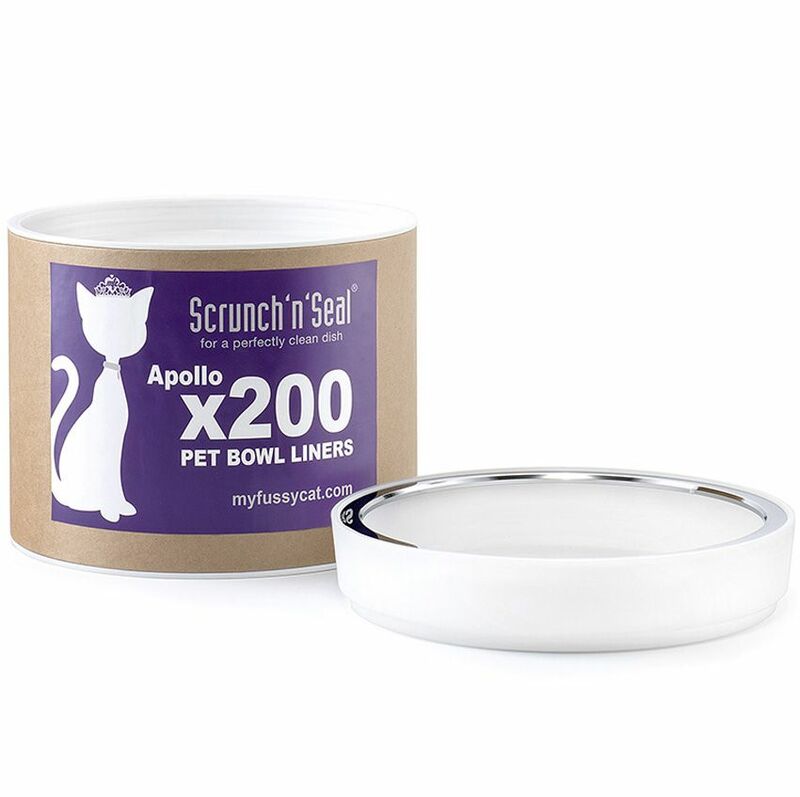 Protect your cat from harmful bacteria with our beautifully designed "Apollo" cat bowl and our low cost Scrunch 'n' Seal disposable liners. This starter kit comes with 200 liners, enough for at least 3 months if you use for two cat feeds a day. This designer cat bowl is ideal for cats that prefer a wider, shallower bowl. 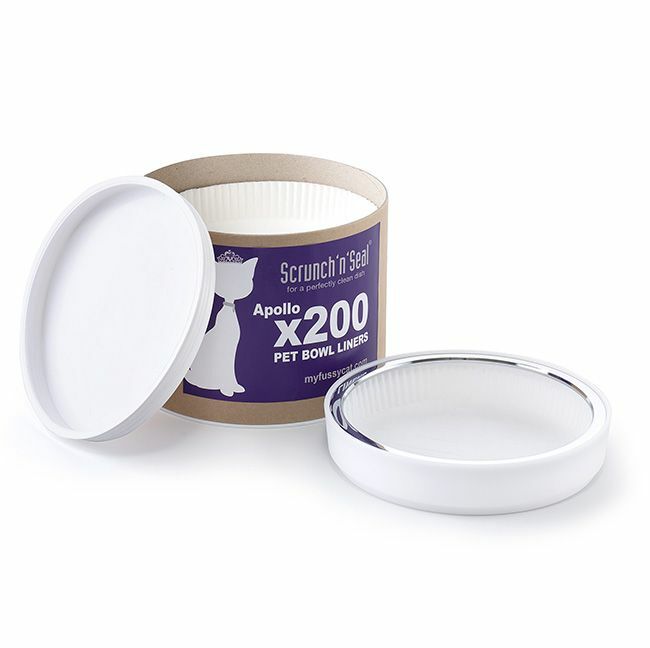 Measuring at 152mm internal diameter and only 25mm deep, it will help to avoid any whisker stress. The elegant design also slopes inwards to help avoid food spilling down the sides. Made from easy-wipe, ice white, marblesque high quality solid plastic and a stylish chromed metal ring, this bowl looks the part in any modern kitchen. The base has non slip feet, which along with the Apollo's inherent weight, has incredible grip, even on the most slippery of floors. The Apollo has been designed to fit our food grade Scrunch'n'Seal liners which are 100% waterproof. The liners are extremely cost-effective and are supplied in a round rigid container for easy storage and use. By using our liners you are protecting your cat from various hidden bacteria that can be found on most pet bowls, even after washing. 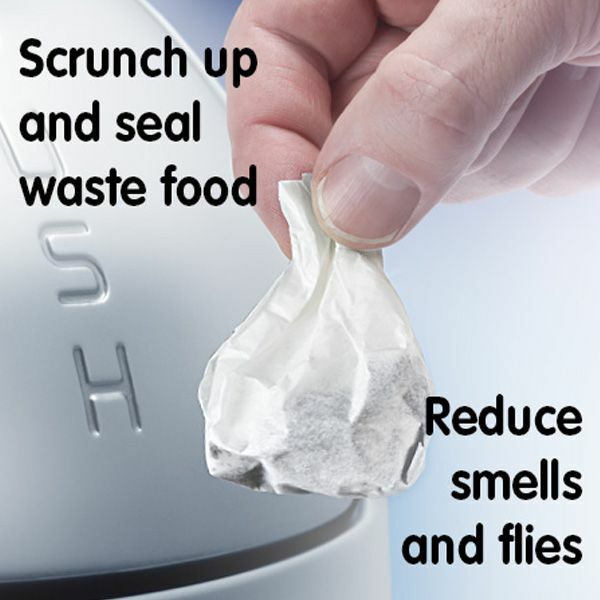 The liners can be scrunched up after use, sealing up any food waste, which helps to reduce flies and smells in and around the bin. 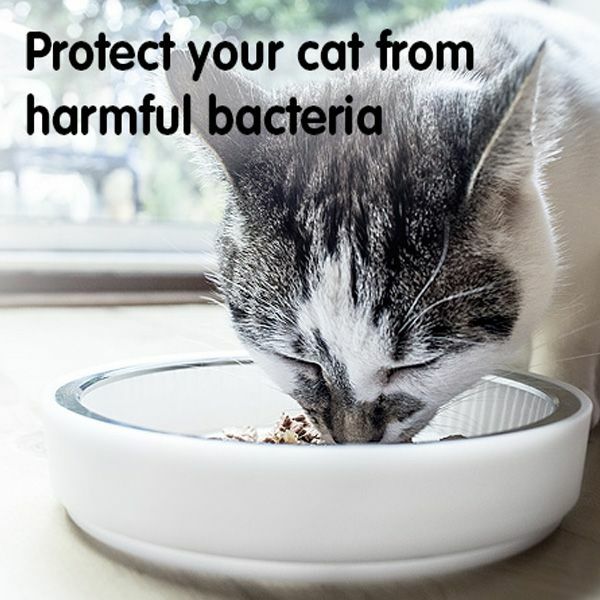 Needless to say, this system also saves a considerable amount of time and effort and ensures your cat has a perfectly clean bowl every time. 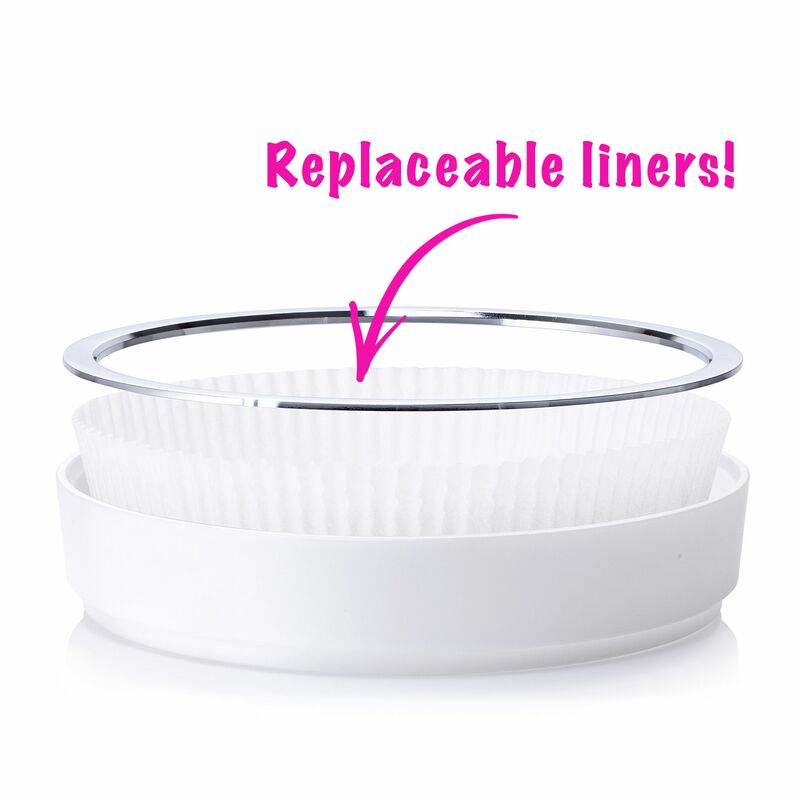 You can purchase replacement liners from our website from our home page or from here. See what our customers have to say on our testimonials page!